This expertly crafted necklace is shaped to the form of the Evil Eye, a mythical harmful influence which causes misfortune to come upon the unfortunate victim. 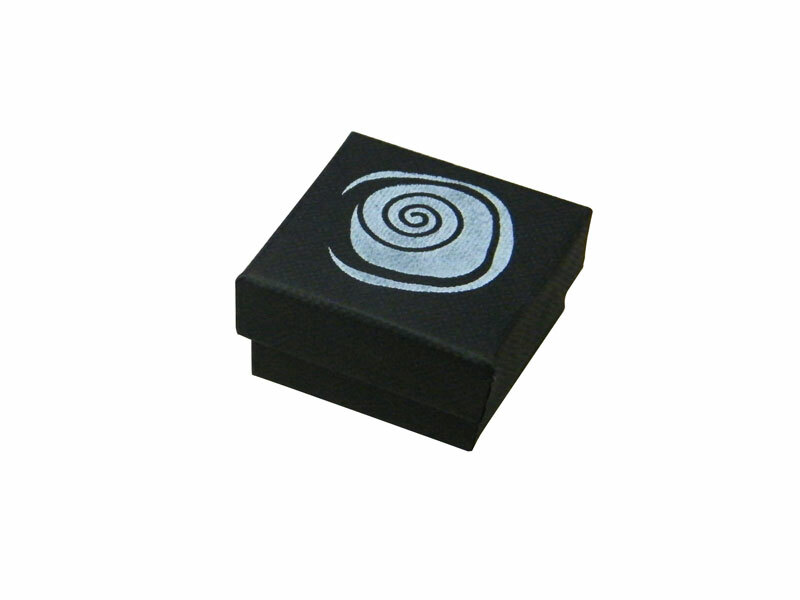 Made of pure sterling silver, this eye candy is not for the faint of heart! A work of Israeli jewelry intended to bring ease of mind to the wearer, this gorgeous Shablool necklace is a walk out on the edge - the depiction is of the Evil Eye, a middle eastern legend which describes it as the cause of bad luck, attracted by overtly exclaiming at one's good fortune. Accompanied by two deep blue pearls along the chain next to the pendant, wearing this pendant is intended to symbolize a subjugation of the Evil Eye, of demonstrating its lack of power over the wearer to ensure that he or she comes to no harm. 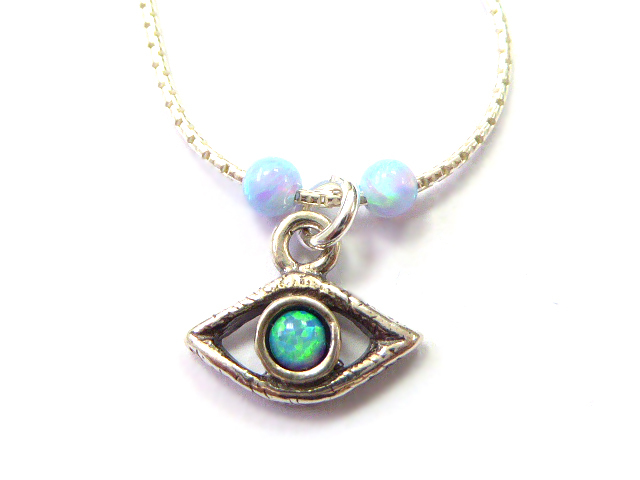 The mystical pupil of the eye on this piece of Jewish jewelry is a glittering blue green opal inset into a frame and chain made of pure sterling silver. Intended to be viewed in an abstract manner, the pupil of the eye is a gem to facilitate the mystical aura of this icon of legend.